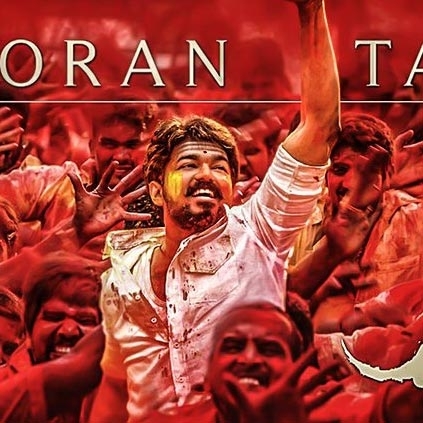 Ever since the 3rd poster from Mersal which carried the title of the 1st single from the film was revealed, Twitter had gone mad with post after post about 'Aalaporan Tamizhan' single track. Here are some the celebrity tweets about the single. SJ Suryah - "Apdipodu aruvala ha ha ha sema lyric ..... super sir ... 👍sjs"
Sibiraj - "#AalaPoraanTamizhan The name says it all! 💪💪💪 #MersalSingleTrack #Mersal @actorvijay"
Thalapathy Prabhu - "#மெர்சல் #ஆளப்போறான்தமிழன் #vijay #aalaporanTamizhan #MersalSingleTrack congrats 💐@ThenandalFilms @MuraliRamasamy4 @Hemarukmani1 @Atlee_dir"
Sathish - "#AaalaPoranTamizhan 👌👌💪💪👏👏 👍👍👍👍"
Santhosh Narayanan - "All my favourites in one place - @actorvijay @arrahman @Lyricist_Vivek. வாழ்த்துக்கள் ! #MersalSingleTrack #AalaPoranTamizhan"
Metro Shirish - "Though I'm a #Thala fan😎, I'm eagerly waiting for #AalaporavanTamizhan #MersalSingle 😃✌ @ThenandalFilms. People looking for online information on AR Rahman, Mersal, Vijay will find this news story useful.